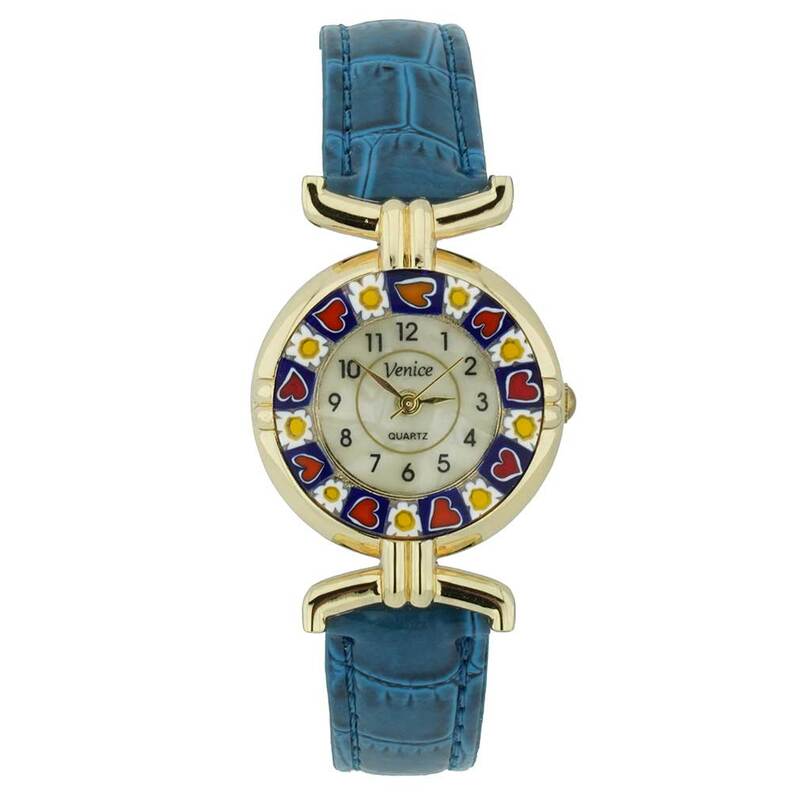 This elegant Murano Glass watch is a unique timepiece featuring high-quality workmanship and the most famous centuries-old Murano Millefiori technique. 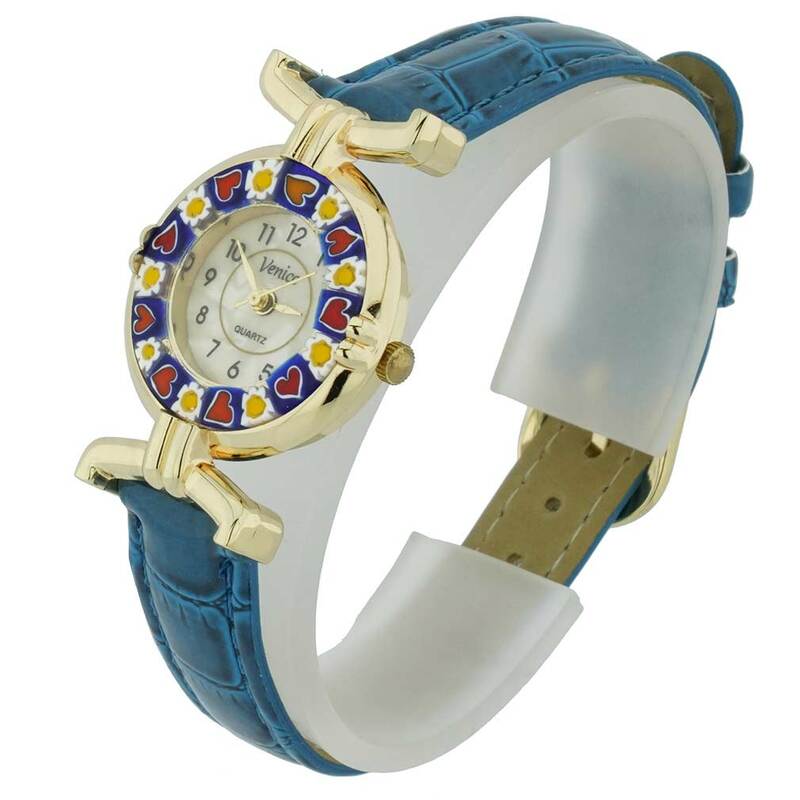 Stylized flowers in rich colors adorn the face of this watch and give it a trendy Venetian look. 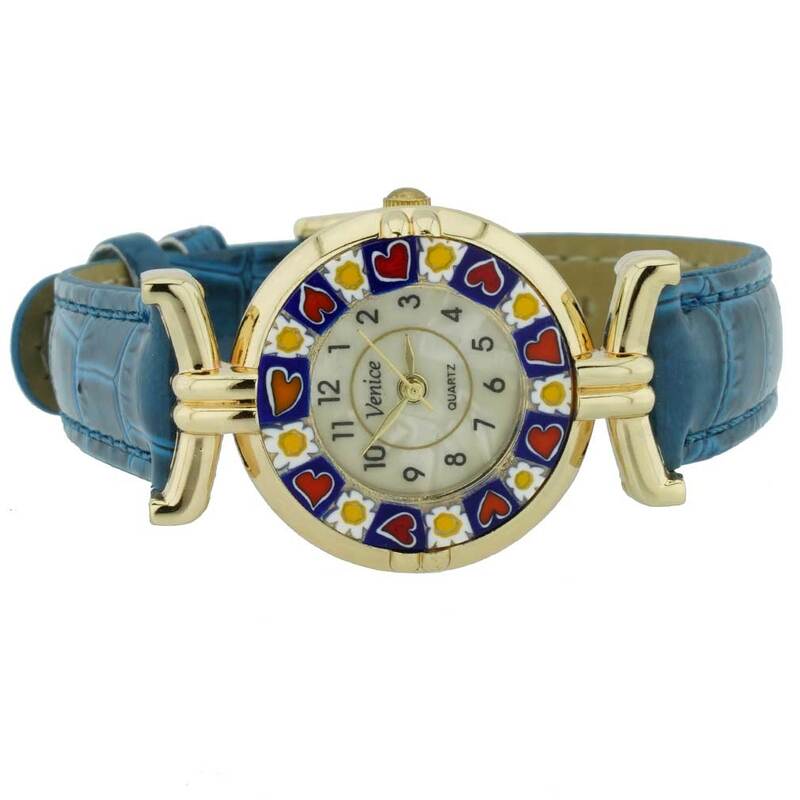 This Murano watch adds an artistic accent to any outfit and makes a great stylish gift to any woman with appreciation of Venetian heritage and Murano craftsmanship. Measurements: The handcrafted face of this Murano Glass watch measures 1 inch in diameter. The watch features a mother of pearl dial and high-quality Japanese Miyota 2035 movement. 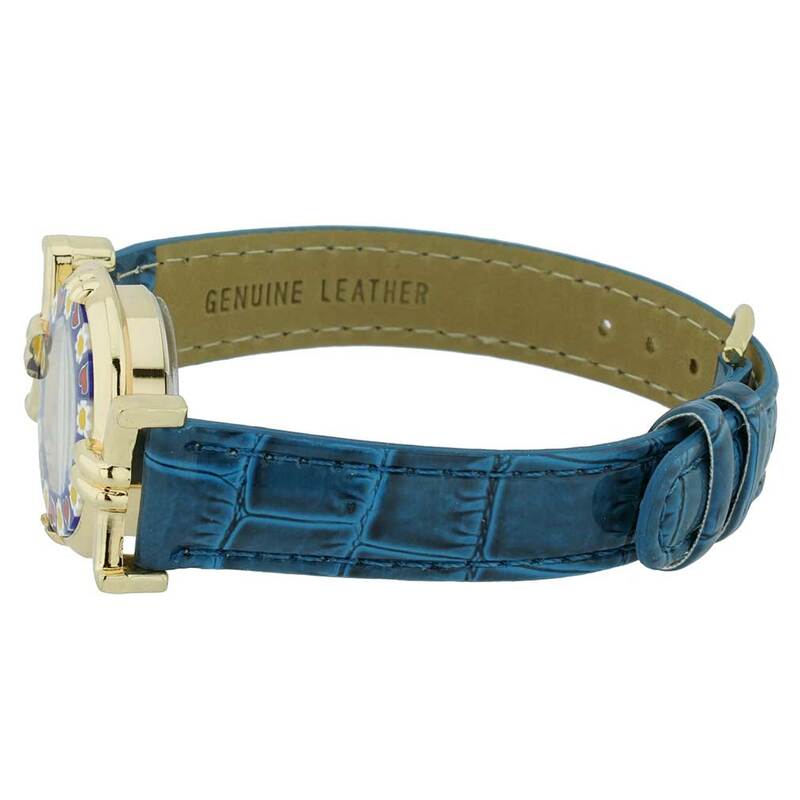 The genuine leather band is stylish and durable; it measures 8 inches in length and adjusts to fit a wide range of wrist sizes. The watch comes with an attractive velvet pouch and a certificate of authenticity. Great looking watch. So glad I found Glass of Venice. Will be ordering again.